Panther To Add Second Car? A year after dropping Vitor Meira for Dan Wheldon, it looks like Panther Racing could be adding a second car for 2010. According to former Target Chip Ganassi driver Giorgio Pantano, he has a 60% chance of landing the 2nd Panther Racing IZOD IndyCar Series seat. In a Q&A with Stop and Go, 30-year old Pantano says that a decision should be made in early January. As the year 2009 comes to a close, of course so does the decade. 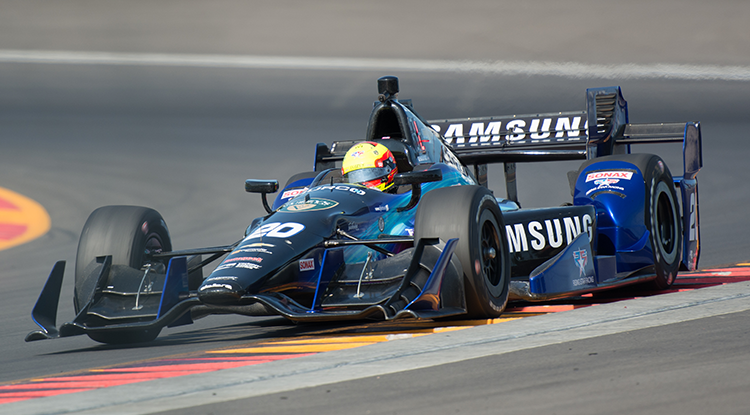 For the IZOD Indy Car Series, the past decade has saw many changes within the series from driver combinations, to title sponsors, to making the transition to road and street courses, to the IRL Champ Car merger. It has been a good decade for the Indy Car Series and the next looks to be even more promising. 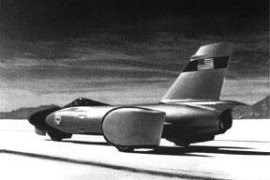 The Indy Car Series ran a total of 153 races at 33 different venues in 21 different states and four different countries. I have came up with a list of the top 10 drivers of the past decade. Enjoy and have a great New Year! 10) Scott Sharp- The Connecticut native was the co-champion of the series in 1996 and continued that success into the new decade. He made 119 starts from 2000 until 2009. Scott sat on the pole for the 2001 Indy 500 and recorded five of his nine career wins in the decade. He took his last checkered flag in 2005 at Kentucky. Sharp stepped away from the IZOD Indy Car Series after the 2007 season to run the American Le Mans Series. He returned in 2009 to run the Indianapolis 500 for Panther Racing where he finished 14th. His best points finish was third in 2001. 9) Ryan Briscoe- The Australian burst onto the scene as a rookie in 2005 driving for Target Chip Ganassi Racing. He recorded his first pole at Infineon Raceway in his 13th start. His rookie season ended early with one of the most memorable images of the decade when his car got airbourne and caught fire at Chicagoland Speedway. Briscoe ran off and on in 2006 and 2007 for Dreyer and Reinbold Racing and Luczo Dragon Racing. He finished a then career high 3rd at Watkins Glen for DRR in 2006, and ran 5th at the 2007 Indianapolis 500. When Sam Hornish Jr. left for Nascar after 2007, Briscoe was hired to drive the #6 Team PenskeHonda. After a slow start in 2008, Briscoe ripped off 12 top 10's including his first career win at Milwaukee. He also drove to victory at Mid-Ohio and the non point event at Surfer's Paradise. In 2009, Ryan battled for a championship, collected three wins and 13 top 5's on his way to finishing 3rd in the final championship standings. 8) Tony Kanaan- TK came to the Indy Car Series in 2002 where he competed in his first ever start. He ran for Mo Nunn, leading 23 laps untill wrecking on lap 90 while leading. He signed the next season to drive for Andretti Green Racing and won in his second race out for the team at Pheonix. In 2004, Kanaan won his first season championship but finishing in the Top 10 in all sixteen events recording 15 Top 5's. Kanaan has been one of the most consistant driver's in the series this decade, finishing no lower than 6th in the final standings. TK started 113 events, winning 10 of those and posting 13 pole positions and 42 top tenfinishes. 7) Buddy Lazier- The 1996 Indy 500 winner continued into the deca de with Hemelgarn and captured the 2000 Indy Car Series championship. He won twice in 2000, and was the runner up in the Indianapolis 500. He won four times in 2002, bringing his decade win total to six. He recorded 28 Top 10's. After the 2003 season, Buddy began running partial schedules. In 2005, Buddy finished 5th at Indy driving for Panther. He would finish out the decade running races for Dreyer and Reinbold Racing, Sam Schidmt Motorsports and Hemelgarn Racing. 6) Gil de Ferran- In 2001, Gil de Ferran ran the Indianapolis 500 for the first time, and finished 2nd to teammate Helio Castroneves. In 2002, De Ferran and Team Penske came to the Indy Car Series to run the full schedule. de Ferran won twice that year at Pikes Peak and Gateway on his way to a third place finish in the championship. de Ferran, overshadowed by the success of teammate Helio Castroneves, broke out in 2003. He won the Indy 500 with teammate Castroneves close behind in second, won again at Nashville and Texas and recorded eight top three finishes. The win at Texas was his final Indy Car start as he retired to run the American Le Mans Series in 2004. 5) Dan Wheldon- Wheldon started his career by running the final two races for Panther Racing at the end of the 2002 season. Wheldon then signed with Andretti Green Racing and won the 2003 Rookie of the Year award scoring nine top 10's. In 2004, Wheldon recorded his first career victory at Japan. He ran third at the Indy 500 in 2003 and won twice more at Richmond and Nazareth. In 2005, Wheldon had the best year of his career. He won the Indianapolis 500 on a late race pass on Danica Patrick and recorded six wins and fifteen top 10's. After the 2005 championship, Wheldon signed to drive for Target Chip Ganassi Racing. He won six races for Ganassi from 2006-2008. At the end of 2008, termoil surfaced with owner Chip Ganassi and Wheldon left after the 2008 season to drive for former team Panther Racing. Wheldon struggled most of the year despite a second place 500 finish. He finished the decade with 43 Top 10's and 16 victories. 4) Helio Castroneves- Indy Car's golden boy became the first driver since Al Unser Sr. in 1970-71 to win back to back Indy 500s. Helio drank the milk in 2001 and 2002 becoming the first driver to win the 500 in his first two starts. After winning both 500s, he climb the fence of the front straightaway at the Indianapolis Motor Speedway. Helio finished 2nd in 2003 to teammate Gil de Ferran in his bid to win a third straight 500. Helio won fourteen times, and also took the title of the first Dancing With The Stars Competition making Helio a household name. Helio missed the first race of 2009 due to legal issues as he was charged with conspiracy of tax evasion. Helio was found innocent on all accounts and ran the second race of the season. He triumphed at the 2009 Indy 500, dominating the month of his way to joining the elite club of three time Indianapolis 500 champions. 3) Dario Franchitti- Dario made his first start in 2002 for Team Green. He moved over from CART in 2003 to run with Andretti Green Racing at the time. Dario scor ed his first career win at Milwaukee in 2005 and won again at Pikes Peak. In 2007, Dario captured the rain shortened Indy 500 and scored three more wins, including the final race at Chicagoland as Scott Dixon ran out of fuel on the final lap to give Dario his first career championship. He then left to pursue a Nascar career, but returned to run for Ganassi Racing in 2009 where he won the championship for the second time and scored five wins. Dario finished the decade with 13 wins and 29 top tens. 2) Scott Dixon- Dixon came to Indy Car in 2003 to drive for Chip Ganassi. He displayed his skill off the bat by winning in his first ever race at Homestead Miami. He won twice more that season and became the first driver to win the Indy Car Series championship in his rookie season. The success just got better for Scott. After struggling the next two seasons, Scott broke back into the win column at Watkins Glen in 2005. In 2007, Dixon collected four wins on his way to a runner up finish in the standings. He was hungry for another championship in 2008 and losing the '07 title on the final lap of the season. Dixon dominated 2008 winning six races including the Indianapolis 500 where he dominated, sitting on the pole and leading 115 laps on his way to the win. He wrapped up his second title that season by scoring 15 top 5's. In 2009, Dixon finished second to this time teammate Dario Franchitti. He scored wins at Kansas, Milwaukee, Richmond, Mid Ohio and Motegi. He finished the decade with 21 wins, the most in Indy Car history. 1) Sam Hornish Jr.- Sam was a rookie in 2000 for PDM Racing, a small, underfunded team. This didnt stop Sam as he finished an impressive third at Las Vegas. Head ing into 2001, Hornish signed to drive for Panther Racing, and the rest is history. Hornish won three times, including career win number one at Phoenix on his way to his first championship. He followed that season up by winning five times on his way to a second straight points championship. In 2003, Sam won on three different occasions, and jumped to Penske Racing at seasons end to take over for retireing Gil de Ferran. In 2006, Sam won the Indianapolis 500, after struggling at the Speedway in his previous six 500s. His best finish at the 500 before the win was 14th. He continued the momemtum by winning the season championship before leaving for Nascar heading into 2008. Sam finished with 19 victories and 32 Top 10 finishes. 10) August 11, 2002 - Sarah Fisher became the first woman in North American motorsports history to win the pole for a major-league open-wheel race at Kentucky Speedway. 9) May 28, 2006 - With the 2nd closest victory in the history of the Indianapolis 500, Sam Hornish jr. beat out Marco Andretti by .0636 of a second to take his first and only victory at the Greatest Spectacle in Racing. Hornish overcame his struggles at IMS, only to extend those of the Andretti family. 8) April 20, 2008 - After 3 years of continues improvement, Danica Patrick broke through to become the first female to win a major closed-course auto race, prevailing at Twin-Ring Motegi in Japan. 7) May 24, 2009 - After a trying first couple of months in 2009, Helio Castroneves returned to the IndyCar Series circuit on April, 18th, just a day after being acquitted on 6 of the 7 tax evasion counts against him (the 7th charge was later dropped). Just 36 days later Spiderman became only the 9th driver to win 3 or more Indianapolis 500's. 6) August 7, 2008 - With race fans growing more and more unhappy with the sub par coverage of America's premier Open-Wheel circuit, the IRL announced a revamped television package for 2009 and beyond. VERSUS signed on to broadcast at least 13 races for the next 10 years while ABC would return, broadcasting the Indianapolis 500 and four other races through 2012. 5) May 29, 2005 -After a wiggle in the first turn of her first qualification lap Danica Patrick came back to make history with the highest qualifying position of 4th by a female in the Indianapolis 500. The then 23 year-old Patrick went on to smash more records with a finishing position of 4th and becoming the first female to lead the Indy 500. 4) December 6, 2001/March 2, 2003 - In early December 2001, Penske Racing announced their intent to compete exclusively in the IndyCar Series in 2002. Then in early March 2003, Andretti Green Racing, Mo Nunn Racing, Target Chip Ganassi Racing, and Rahal Letterman Racing announced that they'll make the switch and will compete in the Indycar Series. 3) November 5, 2009 - The IndyCar Series announced that IZOD has signed on to become the Series' Title Sponsor in 2010 and beyond. Although the full affect of the deal will not be known for some time, when looking back on this moment in 20 years, it could be one of the major turn around milestone for American Open-Wheel Racing. 2) May 1, 2002 - The Indy Racing League announced that the SAFER (Steel and Foam Energy Reduction) Barrier would be installed in all 4 corners of the Indianapolis Motor Speedway. In development since 1998 by the University of Nebraska-Lincoln's Midwest Roadside Safety Facility and the IRL, the system can now be found in nearly all major oval tracks in North America. The barrier is constructed in 20-foot sections, each consisting of 4 rectangular steel tubes, welded together to form 1 unit. The sections are connected with 4 internal steel splices with bundles of 2-inch-thick pieces of extruded, closed-cell polystyrene placed between the concrete wall and the steel tubing sections. 1) February 22, 2008 - Merger, blendification, hostile take over, or what ever you want to call it, February 22nd is unquestionably the biggest moment for the IndyCar Series over the past decade. With great turmoil in American Open-Wheel racing over the previous 12 years, the first steps were finally made to once again reestablish itself, in its rightful place, in America's conscious. Be sure to hustle on over to Planet-IRL for a spectacular interview with Target Chip Ganassi's Mike Hull, and while your there check out last weeks astounding addition with Robin Miller. According to RACER.com Ryan Hunter-Reay could be looking at a part-time schedule in 2010. The magazine reports that Ryan will compete in "select races" with Andretti Autosport before May, the Indianapolis 500 then he may be out of work. With the IZOD title sponsorship still not signed, atleast to my knowledge, I'm sure the clothing company won't be happy if their poster boy isn't in a car full-time. For the 2nd consecutive year the 2010 Chevy Camaro will pace the field of 33 cars to the green flag of the Indianapolis 500. 2010 will mark the 6th time a Camaro and the 22nd time a Chevy vehicle has paced the Greatest Spectacle in Racing. The car features an Inferno Orange paint scheme with a white diamond rally stripe going down the car and into the interior. Notice that there is no rooftop light bar. The Pace car will be moved from IMS to be on display at the Indianapolis Auto Show. "At the time of writing I am working very hard to secure de Ferran Motorsports immediate future and my plans to enter the 2010 Indy Car Championship are still very much alive. "I have continued to employ our staff until now while working towards our 2010 goals but as of yet I am not in a position to announce anything further. The staff have been kept fully informed of the situation and the current status was communicated to them yesterday. In the meantime I am continuing to work on the 2010 program and will release further information when our plans are finalized." As first reported by @brianjee and later @planetIRLdotcom on twitter, de Ferran Motorsports is closing up shop. The story was later confirmed by the Indianapolis CBS affiliate WishTV. According to the station 15 employees are set to be laid off from the Brownsburg, Indiana shop as of tomorrow. However the teams assets are not for sale and the team will continue searching for sponsorship. After a successful inaugural season for Bryan Herta Autosport including a win at Chicagoland, they are moving on up to a new headquarters. After spending their first year with Vision Racing, BHA will be moving into a 16,000-square-foot shop in Northwest Indianapolis formerly occupied by Fernandez Racing. BHA who will announce their 2010 plans in January, also say that their actively pursuing the opportunity to enter a car in the Indianapolis 500. Hustle on over to the Curt Cavin's latest article on the 2012 Chassis. But before you go, here is a video and a few photos of what Cavin says the Delta Wing car may resemble. UPDATE: In response to a question about the possibility of a choice of a shorter engine lease program for the 2010 Indianapolis 500, Honda says that they were unaware of the Month of May Schedule change until yesterday. They say that it's to early to tell what the engine programs will look like for the 94th Indianapolis 500. The economy has struck again. Last year the Month of May schedule was cut by 2 days, but this year they are making much bigger changes. 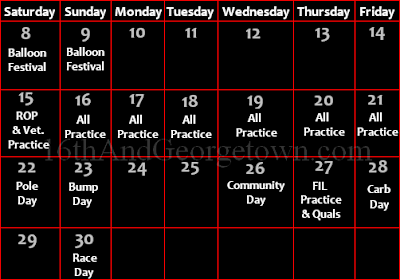 There will be 12 days of on track activity beginning on Saturday, May 15 with practice for all drivers. Practice will then continue through Fast Friday, May 21. Pole day will then follow on May 22 with bump day on Sunday, May 23. The Indianapolis Motor Speedway will remain dormant for the next 2 days, before Community day on Wednesday, May 27 and track activity picks up again Thursday, May 27 with Firestone Indy Lights Practice. Carb Day will remain on the Friday before Race day with the same schedule, FIL Race, IZOD IndyCar Series final practice and other festivities. IMS will also hold a Centennial Era Balloon Festival on Saturday May, 8 and Sunday May, 9 for the second consecutive year. In the end, there is a loss of 2 quaifiaction days but the addition of a practice day compared to May 2009, a net loss of just 1 day of on track activities. To help mark the 100 year anniversary of the last brick laid at the Indianapolis Motor Speedway, IMS is offering a ticket special. To anyone who purchases 4 Race Day tickets to a 2010 IMS event they will receive a commemorative plaque. The plaque will containing a replica of the contract used to purchase the bricks and a casing of original brick pieces from the racing surface. His father was the car owner of 16 Indianapolis 500 entries, including Arie Luyendyk's 1996 Qualification record holder. Teaming with A.J. Foyt, he helped John Andretti become the first ever to run the double on Memorial Day weekend. Drivers like Stan Fox, Gordon Johncock, Buddy Lazier, and Scott Brayton have driven for him. Now his son, Jonathan Byrd II is looking to follow in his father's footsteps with a 2010 Indianapolis 500 entry. 16th And Georgetown: Growing up, your father's teams accomplished a lot. 16 Indy 500 starts with 7 top 10's finishes and the All-time qualification record with Arie Luyendyk in 1996 at the Indianapolis Motor Speedway just to name a few. What are some of your favorite Racing memories growing up? Jonathan Byrd II: Well there are really so many. We got our start back in 1982 at the Speedrome on the southeast side and traveling the country as we got to the United states Auto Club midgets and to be apart of huge national Championships was always great. Another great memory was having Darrell Waltrip drive one of dad's stock cars at the Speedrome back in 1984, we did that 4 or 5 times. He's been a great family friend for all these years. Some of my closest memories are from when we started competing full-time in the Indycar Series, being able to participate in the team. I was a spotter for many races for the Jonathan Byrd cars. Winning that Texas race in 1998 was really exciting. Having the all-time track record is something that we've always been proud of, a record that'll never be broken, that'll always be Jonathan Byrd's Cafeteria car. Those are some things that I've always enjoyed about our racing experiences. 16th And Georgetown: It was mentioned on Indycar.com the possibility of a 2010 Indy 500 entry? Does it look like it's gonna happen or is it still just a dream at this point? Jonathan Byrd II: Well, it's definitely a dream but it's something I'm working on to hopefully have a dream come true again. I really feel like this is what I'm supposed to be doing, kind of taking on my father's work of bearing of his burdens but also combining it with his love of racing, with the Indy 500 and Indycar Racing in particular. Try to do something innovative and unique that will deliver more sponsor exposure for any potential sponsors we have. I've put together a great program, it'll be coming out over the next week or so our intentions, how were gonna do it, what were gonna do to do it. The first big shoe to drop is my meeting that I had with Paul Teutul jr. of American Chopper fame, the show on TLC. I'll be one of the segments on that show on Thursday, December 17th at 9 p.m. on TLC. It was a great meeting, I look forward to seeing how it was portraid on the show. But yea, it's something that I believe is my destiny to be involved in racing full-time again, whether it's with our own team or if it's a 2nd or 3rd entry on another team with the Jonathan Byrd name on the car again, that would be great. 16th And Georgetown: If you were to field an entry, would you look at a young up-and-comer like J.R. Hildebrand, or would would you go with a proven veteran like a Buddy Rice? Jonathan Byrd II: If it was totally all up to me, about what I wanted to do, we had a fantastic experience back in 2005 with Buddy Lazier in that 3rd Panther entry in the 500. It delivered our families best start/finish of 9th and 5th and that was a magical month of May. I'm not just going to the 500 to just make the race. I wanna go there and have a shot to win. A rookie has won the 500 before, so it's not like it can't occur but a grizzled veteran is someone that I wouldn't mind having. It just depends how the team is put together and how they get along and what they can bring. Someone like a Buddy Lazier type, or Davey Hamilton type, or even a Buddy Rice type, those are guys that have always had success that know the 500 and know the Speedway. They can tune the car, make the race in a good starting spot and ride those first 400 miles keeping the nose to run the last 100 miles. In the future, if things go how I hope it will go, what I hope to do is follow in the footsteps of what my dad did. We always brought the short track guy and took care of the guys who never had that shot before. Whether it was Rich Vogler or Stan Fox, or taking a guy who was washed up in many peoples minds, we took John Paul jr. to victory at Texas. Or if it's the veteran who was rejected from the CART people. We took Arie Luyendyk to become the fastest Indycar driver in the World, ever. That's kind of what our family has done, we want to see the short track guys succeed. We want to see someone like a Brad Kuhn who deserves a shot in the 500, a Tracy Hines guy. Those are the guys who have got the pedigree that the 500 was all about, the short track guy, the dirt midget guy, give them that shot. That's what I would love to be able to do. Create some kind of testing program and get it to a point where that can happen. For this 500 I'll probably lean toward experience, someone that knows how to race the Speedway, take a chance and win. I've heard nothing but great things about Hildebrand, there is a lot of great up and coming guys, I just don't know them. Once I know their spirit, and if they fit into what were trying to do with the bearing of his burdens and that spirit of wanting to help other people and representing our sponsors to the best of there ability and do our brand justice. Those are the kind of people I'm looking at. 16th And Georgetown: Your Twitter bio says "future Indy 500 winning car owner". W hat would that mean to you to win the Indianapolis 500? Jonathan Byrd II: It definitely would be a fulfilment of a lifelong dream. In the end that's what is really cool about our race team, more than anything, is that we can finish dead last, crash and not even finish a lap and you could come up to me and say "hey it was a tough weekend Jonathan" and I would say "No, this is the best weekend of racing we've ever had, because we helped bear a lot of other peoples burdens. We helped whether it was build somebody a house or provided a whole street with something like heating and air conditioning. More than anything, that's what I hope the legacy of our team does. "We'll get them next year at the 500". But none the less it would be a fulfilment of a dream and we could even do more with an Indy 500 win and the Borg Warner trophy sitting on my desk. As long as we are bearing others burdens. We're living out the philosophy of my dad and his life and all of those types of things, that's what means more to me than trophies and stuff. Trophies come and they go, but what you do for others will last into internity. 16th And Georgetown: 2012 looks to be the year of the next generation Indycar. What do you want to see in the new car, and would u like to see it capable of breaking Arie's 1996 record of nearly 237mph at Indianapolis? Jonathan Byrd II I'd say it's 2012, it's pretty much a done deal. If it can break the record, I want to be the one to do it, since my family has held the record for go ing on 15 years now. I don't want to see it happen, I've always told people that it's a record that will never be broken, they'll never let the cars go that fast again. Selfishly I hope the record is never broken, because that was my dad's car and I want to see my dad's car have that legacy in racing. The IZOD Indycar Series announced today the "Road to Indy" development system. The ladder system will begin with the Cooper Tires Presents the USF2000 National Championship powered by Mazda, before the Star Mazda Championship presented by Goodyear, then onto the Firestone Indy Lights before finally reaching the IZOD Indycar Series. All three series will race on Ovals, Road, and Street Circuits with the entire "Road to Indy" system racing at both St. Petersburg and Iowa. "The Indy Racing League is open-wheel racing here in North America, and it is my great privilege to work with them again in the creation of a true ladder for young drivers to follow. 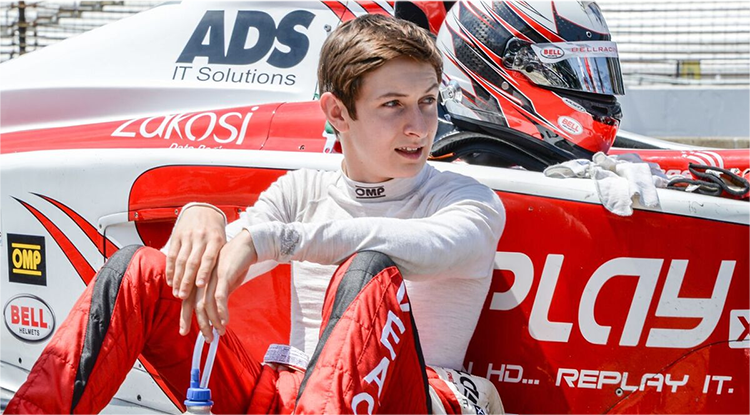 There is finally a clearly defined path to a career in the IZOD IndyCar Series, and I am looking forward to seeing many of tomorrow's IZOD IndyCar Series stars racing with us in the USF2000 series in 2010." -Dan Andersen, co-owner and CEO, Andersen Promotions, administrator of the Cooper Tires presents the USF2000 National Championship powered by Mazda. "Today's announcement is a formidable milestone in the 20th year of our history as a development series. For the Star Mazda Championship to be honored with a formalized position in the pathway to an IZOD IndyCar Series driving career is not only gratifying to us, but provides a clarity that open-wheel drivers and fans have long been seeking. Now young driving talent can know where they need to be and where they are trying to go. Race fans can now determine where to watch for tomorrow's stars. The sale is open until 8 p.m. Friday night, and will re-open Saturday morning at 9 a.m. for another 4 hours, before closing the doors at 1 p.m. The sale is located in the IMS Retail Warehouse, 4575 W. 16th Street. Just enter the IZOD Indycar Series office complex on the south side of the stoplight near gate 2 of the Indianapolis Motor Speedway. The Warehouse is on the far west side of the complex. Huge thanks to Jana Strange of IMS for the info! UPDATE: HVM was reportedly very happy with the test. De Silvestro ran a total of 147 laps over the 2 days and was "very impressive" said Keith Wiggins. "From the first laps, she showed she was capable of driving the car fast and she progressed rapidly. She was fast, consistent and gave good driver feedback. In fact, by the second half of the first day, we were so comfortable that we began working on development of our 2010 program using her feedback. HVM has confirmed that they will indeed test Atlantic stand out Simona De Silvestro at Sebring on Tuesday and Wednesday. The test is in conjunction with Team Stargate Worlds who ran both Silvestro and Frankie Muniz in the Atlantic Championship this season. HVM is slated to field Robert Doornbos in the #33 Honda powered Dallara in 2010, with the possibility of adding a second car. 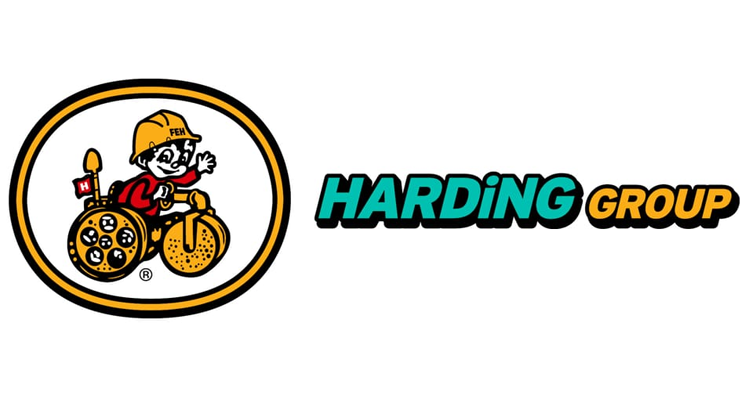 Starting next season 16thAndGeorgetown.com will begin holding a free fantasy racing league, and thanks to the Indy Racing Experience we will be offering a fantastic Grand Prize. The 2010 fantasy league champion will be crowned just after the IZOD Indycar Series season finale at Homestead-Miami Speedway in early October and will receive an Indy Racing Experience 2-Seater ride. The lucky winner will be strapped into a purpose built 2-Seater Dallara, driven by an Indycar vet for a couple laps around either the Indianapolis Motor Speedway or Walt Disney World Speedway. Sign-ups for the league will begin in mid February. Be sure to follow the Indy Racing Experience on twtter (@IRE2seater) and check them out on the web. Former HVM pilot E.J. Viso is set to test with Dreyer & Reinbold Racing next Wednesday at Sebring. Viso has been at the base of much speculation over the last couple weeks including the rumor that he is in talks to field a 3rd entry for Target Chip Ganassi Racing. “This time of year you always explore options, and of course, we are still interested in re-signing our drivers from last year as well. The opportunity to run E.J. in this test is exciting to us. He is a young driver with a lot of talent that we have gotten to know over the last couple of years” - Dennis Reinbold, DRR co-owner. Andretti Autosport has announced today that Venom Energy drink has signed a multi-year agreement to return as the primary sponsor for Marco Andretti and the #26 Honda Powered Dallara. Venom will begin activation with in-store merchandising, retail appearances and sweepstakes. Beginning tonight on VERSUS are the first 2 of a 10 episode half-hour series entitled Sports Jobs with Junior Seau. The 6'3 250lb 20 year NFL vet, will spend some time trying out sports related jobs including: college football writer for SI, conversion crew for a Professional Bull Riders event, equipment manager for the Washington Capitals, UFC cornerman and even a member for Scott Dixon's TCGR pit crew. The first of a back-to-back airing begins tonight at 10pm est. on VERSUS and will feature Junior as a member of the construction crew that's helping to build the new New York Giants stadium. The second episodes slated to air 30min later, will fallow Seau as he serves as batboy and equipment manager for the Los Angeles Dodgers as they play the Milwaukee Brewers. The IZOD Indycar Series specific event is set to air on December 23rd. Andretti Autosport will be channeling their inner Paul Tracy. As you may have noticed at yesterdays unveiling, Danica's new livery features a chrome nose, and it wont be unique just to her. The entire Andretti stable including Tony Kanaan, Marco Andretti, Danica Patrick and probably another young American will feature the chrome horn during the 2010 season.